Axalko’s stunning wooden bicycle is truly a work of art, handcrafted from ash wood into a beautiful piece of functional design. Aptly named after a quick-witted fox from a childhood fable, the Axalko bike boasts a lightweight hollow frame and micro-lamination for improved resistance. The bike is the inspired design of two brothers, Aitzol and Andoitz Tellería, who joined forces with Enrique Ardura in the north of Spain six years ago to test the natural durability of the ash wood, and to construct a bicycle that would be both fast and sturdy. So far the bike has been road-tested in races in France proving that, as anticipated by the designers, it withstands high levels of vibrations and heavy riding. Most of the manufacturing process is a labor of love, and the “wood masters” pay close attention to every detail, ensuring each bicycle is unique. The team also accepts customization requests from their clients for individual colors and finishes. Take a look at the Axalko in action in Maite Felices’ superb video, and you can see the green commuting machine in all its natural finery. 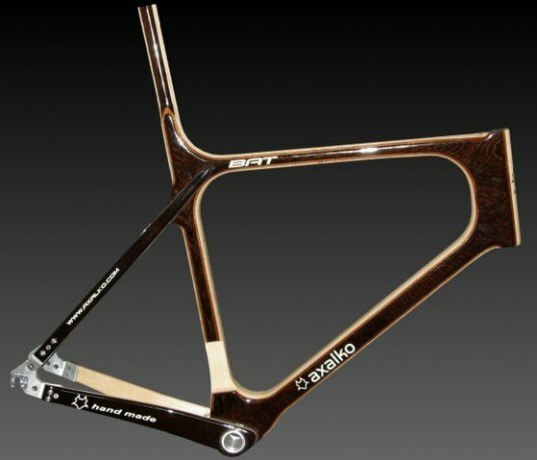 Axalko's stunning bicycle is truly a work of art, hand crafted from ash wood into a beautiful piece of functional design. 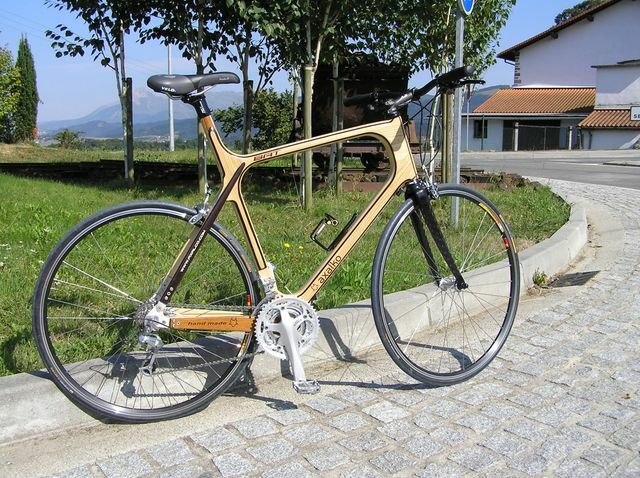 Professionals in the wood industry, brothers Aitzol and Andoitz Tellería joined forces with Enrique Ardura 6 years ago to use the natural durability of the material to construct a bicycle that would be fast and sturdy. Aptly named after a quick-witted fox from a childhood fable, the Axalko bike is a light-weight hollow frame yet micro laminated for better resistance. Most of the manufacturing process is a labor of love, taking care over detail by hand for each unique item.